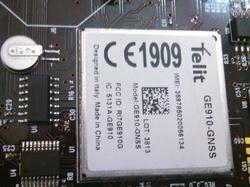 By keeping track of current market development, we provide fine quality M2M Wireless Connectivity Solution. 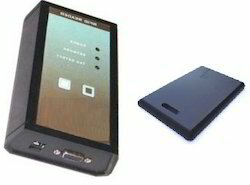 The offered wireless product is suited for mobile Internet devices, point-of-sale devices, and industrial handhelds. This wireless product is developed using excellent quality material in adherence with set quality standard. Our wireless product is available from us in diverse specifications as per the need of customers at affordable rates. 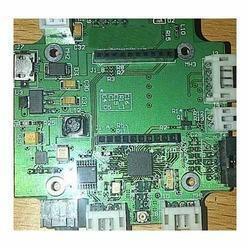 Our organization is recognized in the industry for offering the finest quality Wireless Connectivity Board. This product is developed using finest grade material and latest technology in accordance to the industry norms. Our provided product supports UART, Digital/Analog IO for system Integration. Additionally, our offered product can be availed by our clients in numerous customized options within stipulated time frame. l Innovative 433MHz Active RFID based Products Range that works together to provide a new approach to Tracking and Security solutions taking into consideration of today’s businesses human tracking and logistics problems. •Designed and Built entirely in India – Customized product build is easy, Technical support at your doorstep, Firmware upgrades easy. Having vast industrial experience and expertise, we are offering our clients Wireless Connectivity. Offered products are used in applications like home/building automation, low-power wireless sensor networks & industrial control and monitoring. These products are designed using best quality material keeping in mind the set standards. Furthermore, our products are available in several specifications to choose. 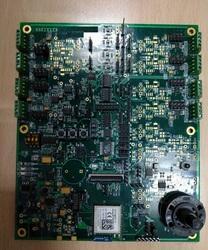 standard compliant or proprietary module design and manufacturing. As a specialist in this domain, we are moving ahead by maintaining timeliness in providing Wireless Connectivity Bluetooth. The offered bluetooth is designed using quality assured material and progressive technology. Our quality experts check this bluetooth against various quality parameters to maintain its flawlessness. Also, our customers can avail this bluetooth from us as per their needs. 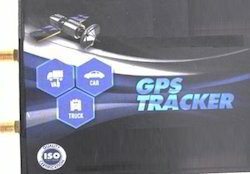 Provides GSM communication through SIM card and GNSS antenna for Location tracking. Taking to the requests of clients as a producer, exporter & supplier, we are occupied with offering Wireless Connectivity Bluetooth for Networking. The offered Bluetooth is astoundingly planned with the use of best quality material and cutting edge planning methods. Bluetooth Low Energy (BLE) is a key building block for the IoT, thanks to its pervasiveness (mobile devices support Bluetooth 4.0), low-power consumption and protocol optimization for low-rate transmission. Argus supports you in your projects based on BLE devices and beacons, offering state-of-art and enterprise-grade products and solutions, tailored for your needs. Argus Systems has designed & developed automatic meter android app which can connect with an existing meter to make them smart and communicate with a cloud. The existing Android app can be customized as per the customer requirements. The app connected in a network using Bluetooth, wireless or USB collects the data and update to a server if required. The app can initiate connection with various DLMS and Non-DLMS meters following proper authentication method. Extract various parameters from the received data from meter. UI to display single phase and three phase paramters. Bluetooth printer connection for immediate bill printing. Android UI to display billing paramters. 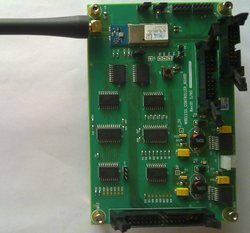 Argus Embedded System provide device which is based on different protocols but this nRF Bluetooth Beacon device is basically focused on Bluetooth Low Energy (BLE) device . The default behavior of the beacon is simple Bluetooth device that it is a non-connectable device that only sends out advertising packets. nRF51822 System on Chip (SoC). 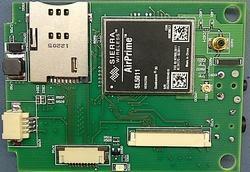 2.4 GHz compatible with nRF24L devices. 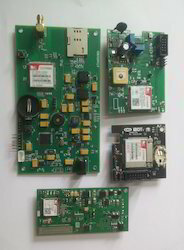 Argus Embedded System provides a device which is based on different protocols but this device is basically focused on Wi-Fi, UART, & Interrupt based.W i-Fi USB control relays device is micro-controller controlled multi-switch hardware and mainly uses manual switches starting from left to right, their naming conventions are 0 to 9 as similar to the keypad. 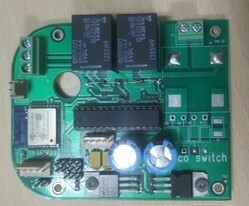 These switches can be used for entering a password when they are in password mode and also act like manual switches which control the connected devices in manual mode. Manual mode will become active only when the user entered the correct password. This is very responsive because the switches are interrupt based. Protection Type - Manual key press via device. It can control both AC and DC appliances such as Solenoids, Motors, lights, fans, bulbs etc. LED Status indicators to indicate the relay ON/OFF status. Looking for Wireless Products ?